Each year our Admissions Office recruits and admits some of the country’s most promising, diverse, and dynamic students to join the UF Law student body. We are committed to enrolling students with excellent credentials from a wide range of backgrounds. Our commitment to excellence and diversity is reflected in the people who make up our community. 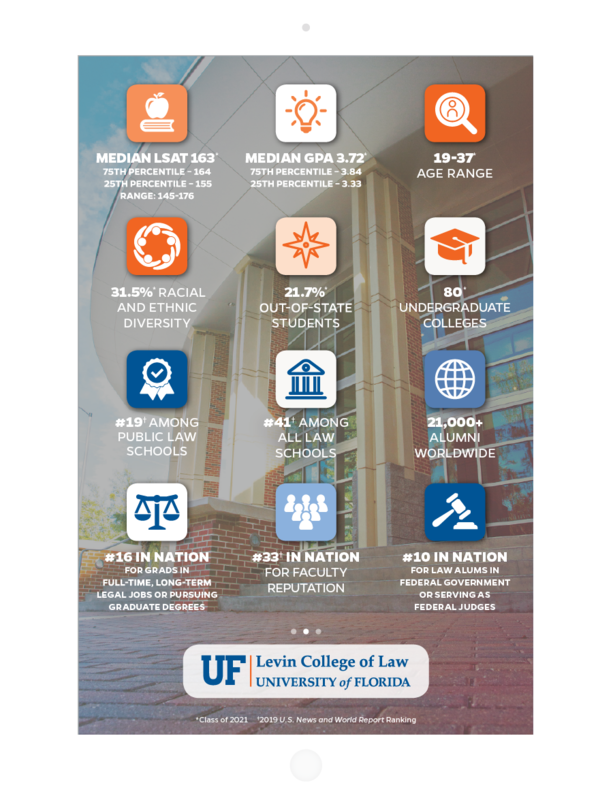 We encourage you to visit our campus to meet the students, staff, and faculty who make UF Law so dynamic. 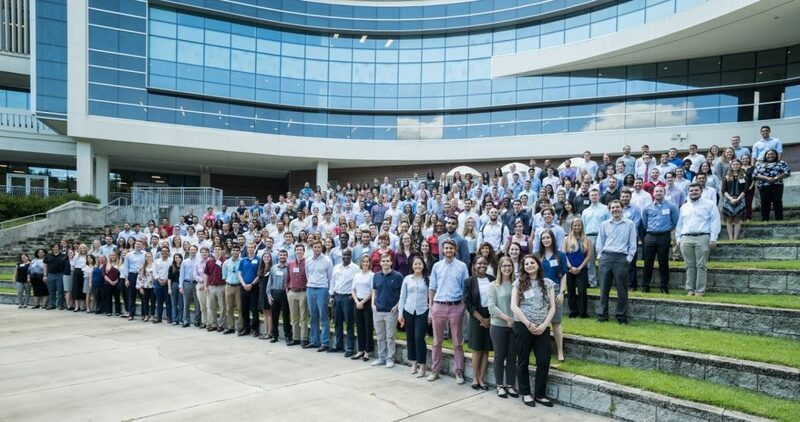 The UF Law Class of 2021 hails from 80 undergraduate institutions across the country, including: Harvard, Cornell, Boston College, Notre Dame, BYU, Georgetown, Rutgers, Vanderbilt, UCLA, UVA, Michigan, Ohio State, UNC-Chapel Hill, and many other colleges and universities. View our latest Fact Card to learn more. *Data as of August 13, 2018.